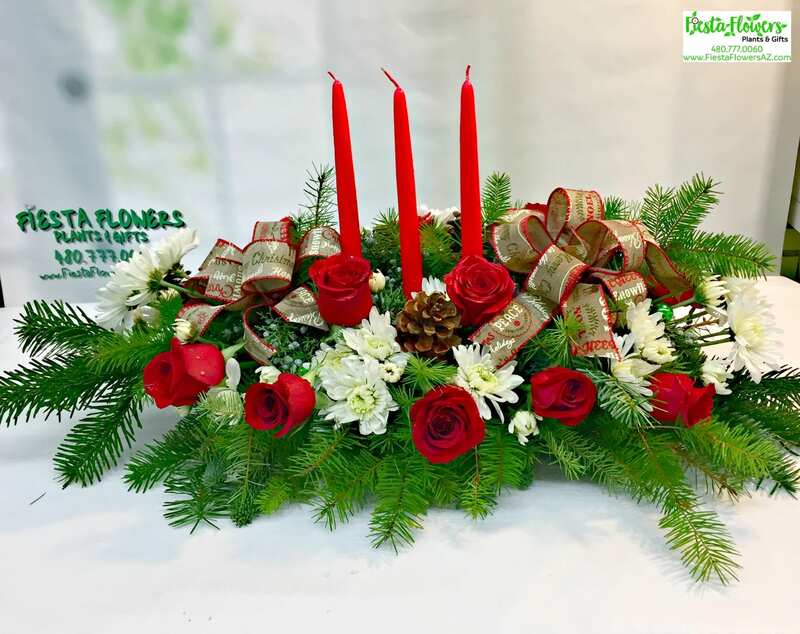 Celebrate your Holiday dinner with family and friends surrounding this splendid Holiday centerpiece. 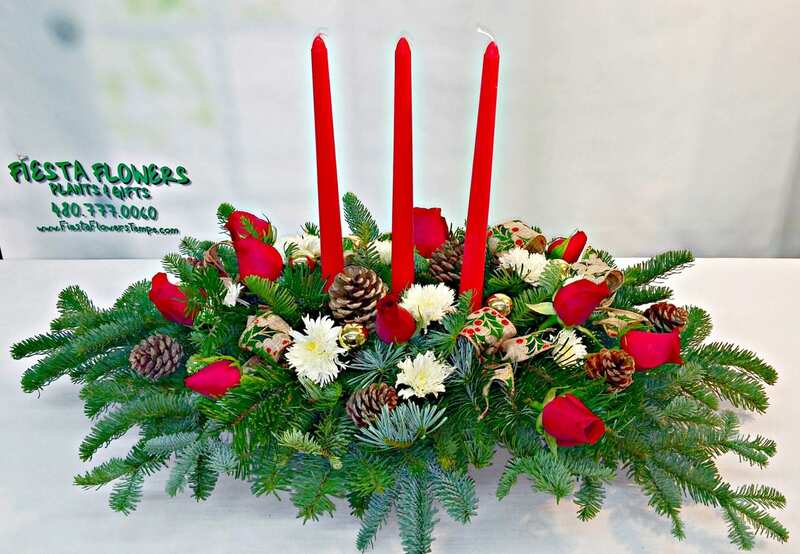 Three taper candles are accented by country pine cones, ornaments, burlap Holiday ribbon, ten red Roses and white Mums. 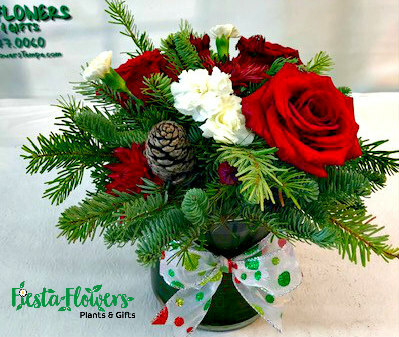 This fragrant centerpiece measures approximately 24″ x 10″. 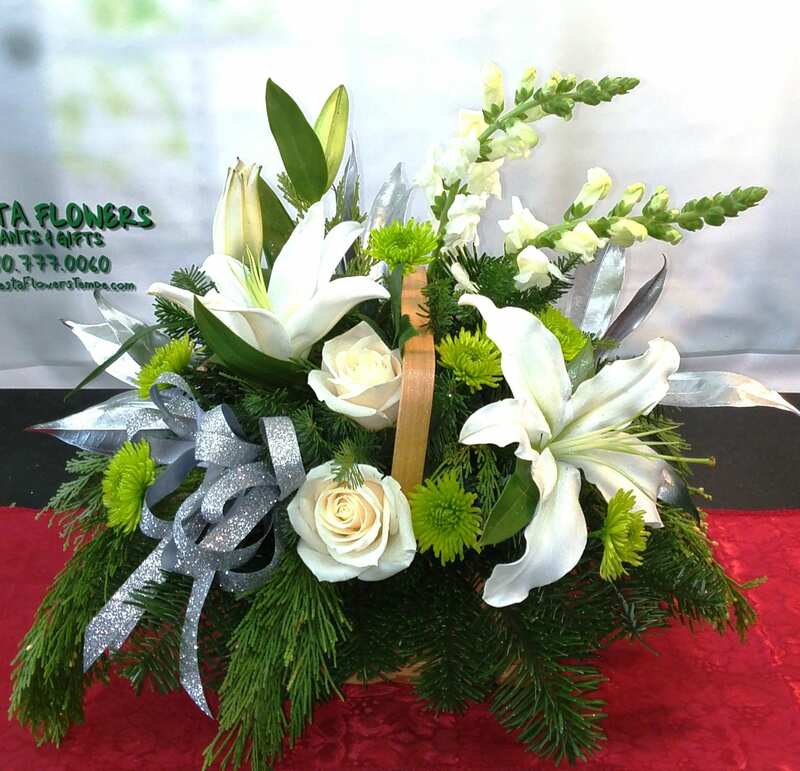 Upgrade for additional flowers or ribbon/ornaments. *Candle color may vary (red, green or white).